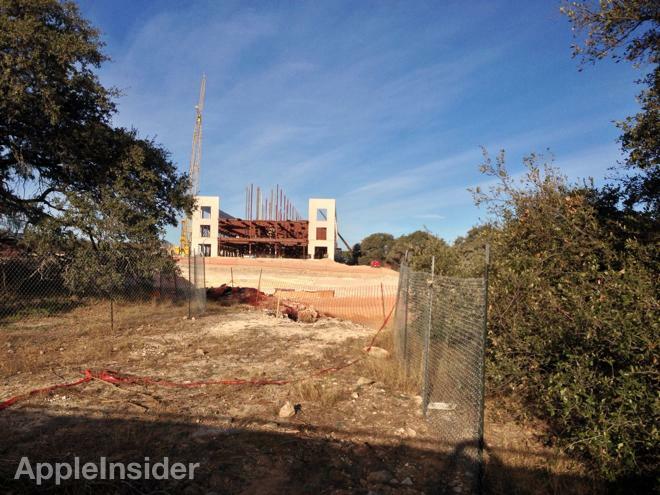 With work underway at Apple's new multi-million dollar expansion in Austin, Tex., AppleInsider offers a first look at the ongoing construction. 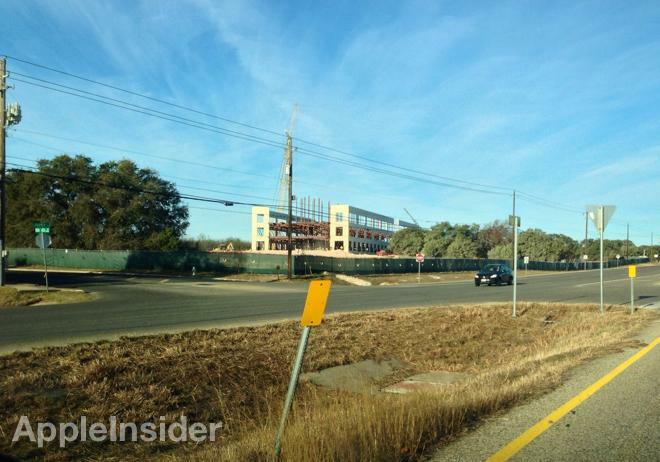 Reader Benjamin sent along pictures showing the progress that has been made at the site of Apple's future 1-million-square-foot Texas campus. 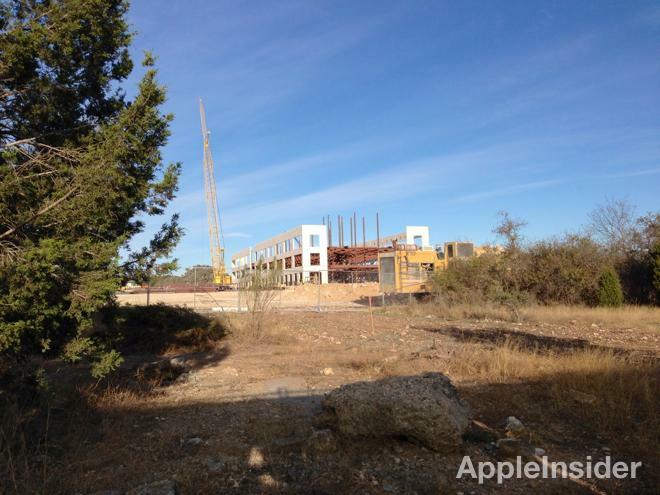 The new buildings will join Apple's existing facilities on Riata Vista Circle. Phase one of the project, which began in recent weeks, calls for 200,000 total square feet from two buildings. It will cost $56 million and will be completed by the end of 2015. Currently at the site, a frame for at least one building can be seen in place, having been built over the last few weeks. After phase one is finished, Apple will eventually move on to a much larger second phase that will add another 800,000 square feet in the form of a number of buildings. The entire project is scheduled to be completed by the end of 2021. In all, Apple is project dot spend $304 million on the new campus in Austin, creating 3,600 new jobs for the local community. 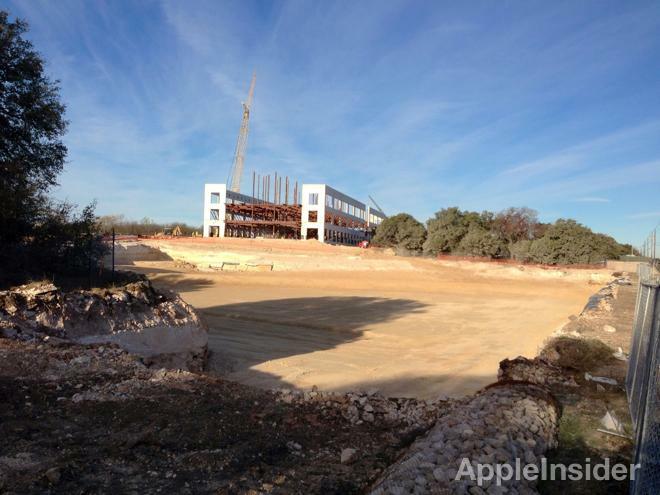 The facilities will serve as Apple's new "Americas Operations Center. In return, local governments have agreed to award Apple more than $30 million in tax breaks. The terms of the deal require that Apple provide an average salary of $35,000 for the bottom 10 percent of workers, and a minimum pay of $11-per-hour for contractors. Travis County estimates that Apple's new Americas Operations Center in Austin will generate $15 million benefits for the county over the 15-year term of the contract.